The 2019 NDMTA Conference will be hosted by the Greater Grand Forks Music Teachers Association at the University of North Dakota's Hughes Fine Arts Center. Phone: 1-701-775-3951 www.ramadainngrandforks.com Twenty rooms will be reserved until May 19 at $65.00 plus tax for double room or king room. 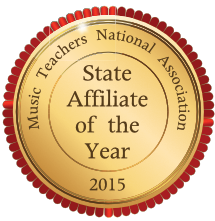 Please ask for the North Dakota Music Teachers Association block. Phone: 701-575-3600 lq6612gm@laquinta.com Twenty rooms will be reserved until May 19 at $84.60 plus tax. Please ask for the ND Music Teachers Association block. The featured clinician for the 2019 NDMTA Conference will be Wynn-Anne Rossi. The titles of her sessions are: "Creative Composition in the Studio", "Jazzy Notes and Wild Stories", "American Music: Jazz Meets Latin." Dr. Nariaki Sugiura, Associate Professor of Music at the University of North Dakota will be a presenter at the NDMTA Conference in Grand Forks. The title of his session will be made available as it is announced. Matthew Lorenz and Matthew Sebald, recently graduated from UND will be the 2019 MTNA Conference recitalists. Both Matthews studied piano performance with Dr. Nariaki Sugiura while at UND. See their bios for complete information about these two talented young men. The official opening of the 2019 NDMTA Conference will feature Dr. Dianna Anderson and Dr. Erik Anderson, piano/cello duo in recital. The Andersons will perform Wednesday night, June 19th, 7:00 pm the Josephine Campbell Recital on the UND campus. 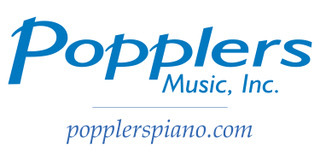 Also featured on the program will be the winners of the Popplers Music Competition. A reception will follow. Attached below are the bios of Dianna and Erik Anderson. For information about MTNA National Conferences, please visit www.mtna.org.